To every era and every place! But what's the problem, you well may ask? My problem is that I have what grownups call a Conflict of Interest. In my ♡ I know that millions and millions of children would LOVE to read the Izzy Elves books about me and my friends, Blizzy and Dizzy. The words in them just dance along in rhyme, and the stories are just GRIPPING. But even so, I have to say that I am a little uncomfortable picking out these Giftbooks for specific children and putting them into Santa's pack. Even though they are the very best choice! 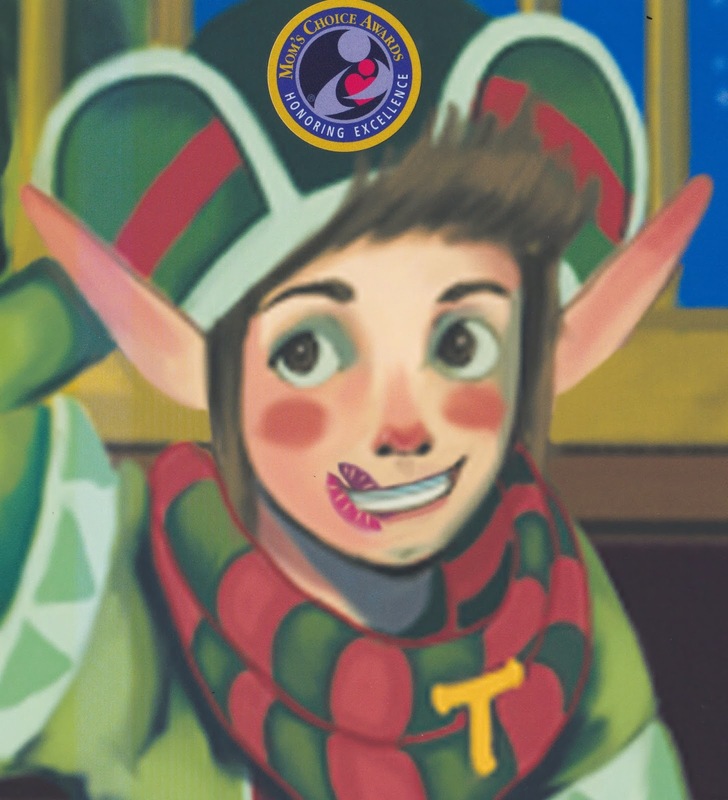 Am I being self-centered, sending them Tizzy, the Christmas Shelf Elf? And Blizzy is my girlfriend and Dizzy my best friend. Is it too much of an ego trip for me when I select their stories for Santa to deliver, even though I know kids will love 'em? The names of the books again? Here are pix of 'em. Hope to hear from you soon! Christmas is coming!!!! 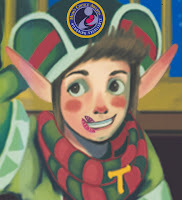 One reason we didn't make a big announcement on this ElfBlog at the time is we didn't want to hurt Dizzy's feelings. His book couldn't be considered for the Mom's Choice Award because the pictures weren't done yet. However, everyone has been so excited for us that we think it is OK to announce it officially. Even Dizzy seems to have stopped sulking. I think his GREAT REVIEWS on Amazon and Goodreads helped a LOT. 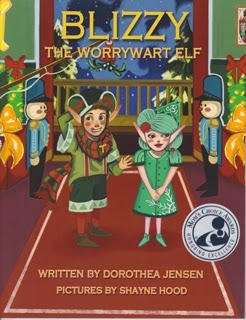 Don't forget, to read the great things people are saying about our books, go to dorotheajensen.com and click on us!!! Now Blizzy is Decorating Her Bedroom with Mom's Choice Stickers! 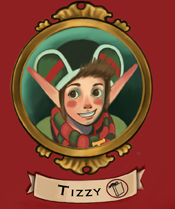 I know how very proud Blizzy is about getting this big time award, but enough is enough. Isn't it? How many of those stickers does she have, anyway? Frizzy says I should just get over it. She says she is very VERY proud of her friends getting this honor, and that I should be too. She also says that at least my book is finished now - unlike the rest of the Izzies. 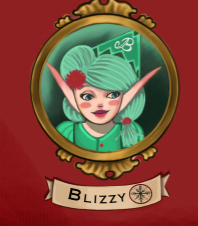 She (Frizzy) and Bizzy and Fizzy and Whizzy and Quizzy are all still waiting for Deedy to get their adventures down on paper. Or whatever you call it when she types into her computer keyboard. I guess Frizzy is right. After all, even though I don't have any stickers yet, lots of people have written really REALLY nice things about my own story! 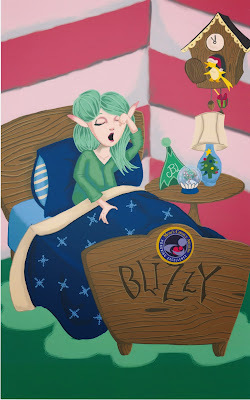 One person said that Dizzy, the Stowaway Elf is the best Santa's Izzy Elves book yet!!! Woo Hoo!! 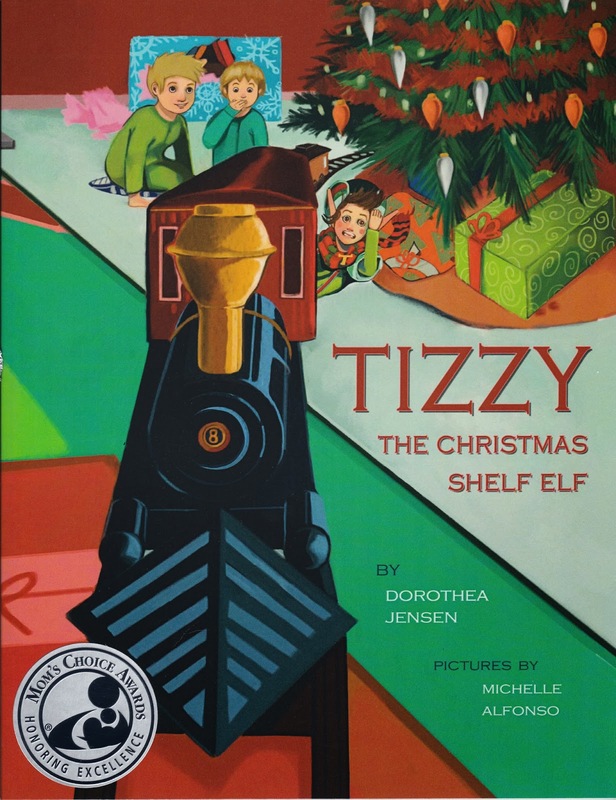 My very favorite reaction to my story so far: one father said that his seven year old son WHO HATES TO READ picked up Dizzy, the Stowaway Elf and read it cover to cover. That makes me feel as if I received an award, too. It's even better than a sticker!!! 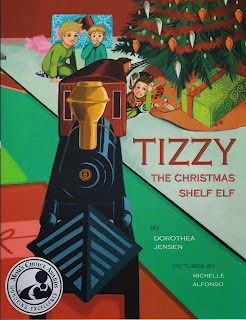 Meanwhile, if you want to read some more great things about my book (or even about Tizzy and Blizzy's books) go to dorotheajensen.com and click on us!